Apple iTunes is a very useful software, but very often this program would throw up the weirdest of issues on its users’ faces. ‘The iPhone was reset’ is a common error the Apple users tend to face, especially while an iPhone is just connected to a PC and iTunes is syncing the files. However, nothing happens for nothing and connection reset error shows up for some specific set of reasons. We dug through the possible errors and reasons, gathered data and now trying to get you out of your misery, in case you were having the same issue. The exact iTunes error message you get should be ‘The iPhone could not be synced because the connection to the iPhone was reset’. If you get this error, your device can’t be synced with your Computer. 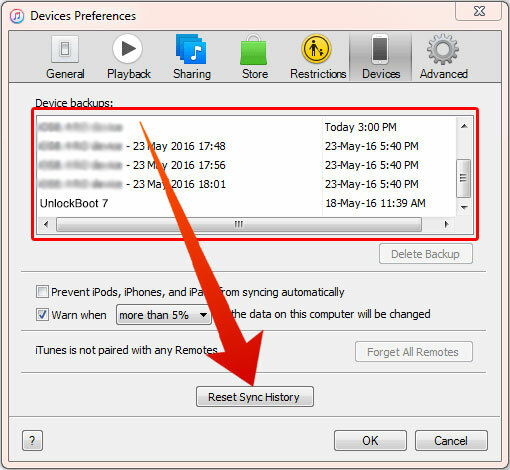 If you want to sync or backup your data, you need to resolve the sync error and sync your device. This article will teach you how you can resolve the issue and backup your data easily. The error in iTunes could be caused by simple issues like a faulty cable, or something complicated like a software issue in iTunes. Try the following methods if you are consistently getting connection reset error on iTunes. Older Apple cables tend to break inside the rubber coating, it’s difficult to know if a cable is even broken or in one piece inside. Get a different Apple cable from a friend or family and try connecting your iPhone to the PC with that. If the syncing is done properly, your cable is most likely at fault. You can buy an official Apple cable from Apple outlets, or maybe some authorized third party cables if you are low on budget. 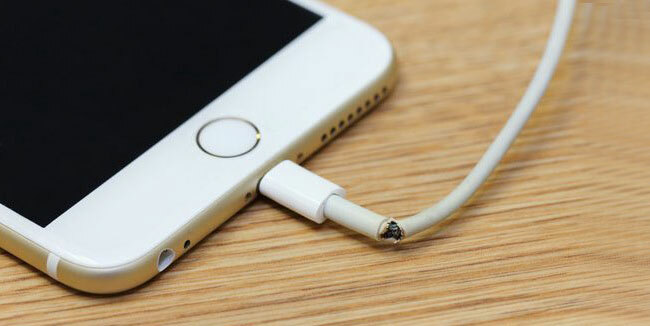 A quick life hack – put a tiny spring around the connecting ends of the cable to prevent them from bending and breaking inside. If your cable is fine, then try changing the USB port on your PC. If you haven’t tried these other ports with your iPhone or iPad before, you should plug in the cable to another port. Some driver installation should happen, afterwards your phone might get detected by iTunes if the cable is fine. You could also try removing the driver for your iPhone from Device Manager and plug in the cable to the same USB port you had been using. Disconnect any iOS device connected to the PC. From the Edit menu, click on Preferences. On the new dialog box, click on Devices. Click ‘Reset Sync History’ and wait for the operation to complete. Restart iTunes or reboot your computer. Connect your iPhone, iPad or iPod Touch to your PC. If the problem was software-centric, it should be solved. If none of these tips work, maybe update all the software e.g. the iTunes and iOS version and then try again. We also recommend you to update your Computer to the latest OS version or install the latest Software updates on your Windows 10/7/8 Computer or Mac. Viruses, hardware issues, outdated software or another issue can be the reason for getting the ‘Connection to the iPhone was Reset’ error in iTunes. In this case, iTunes can’t recognize your phone or it’s automatically disconnected during the restore procedure. We highly recommend you to try to restore your device using another computer before submitting the phone to an Apple store for inspection. 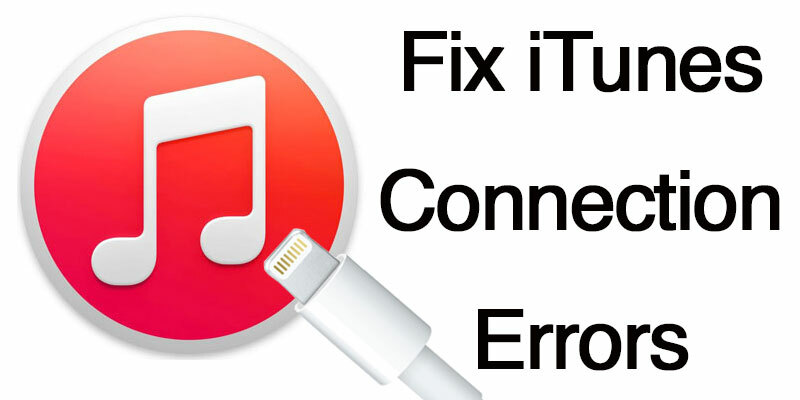 The most common reason for connection reset error in iTunes is a faulty cable, we suggest you try a different cable first and the rest of the methods later. If you can’t resolve the issue, please post a comment below. We will be more than glad to help.